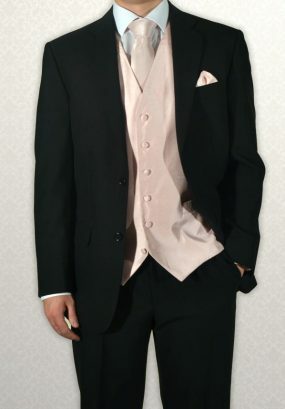 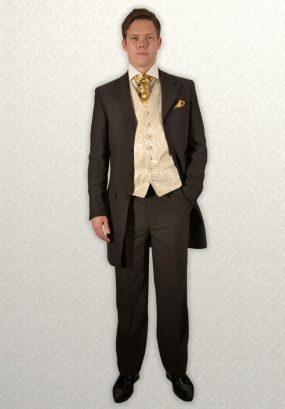 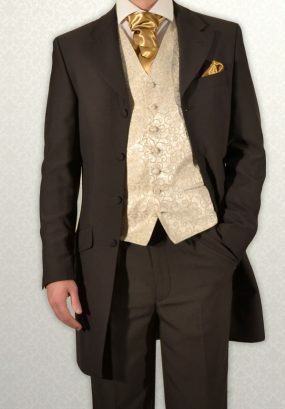 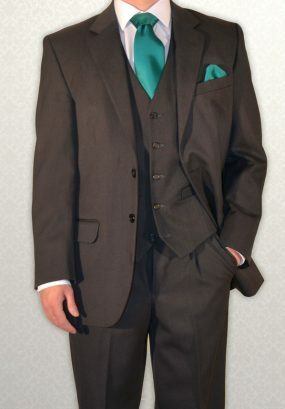 Plain Brown Three-Quarter Prince Edward Frock Coat. 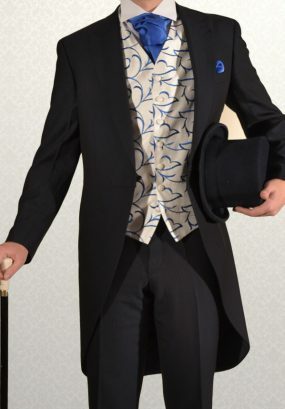 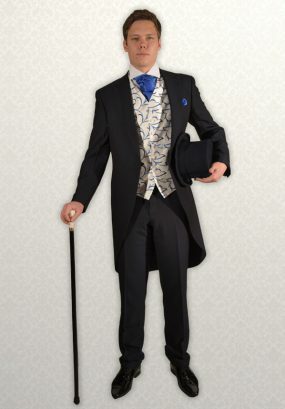 Navy Herringbone Three-Quarter Prince Edward Frock Coat. 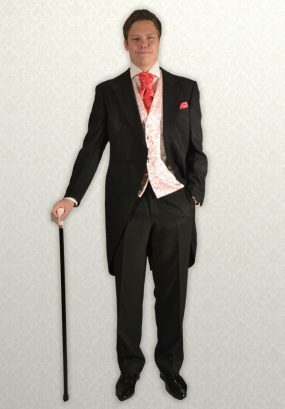 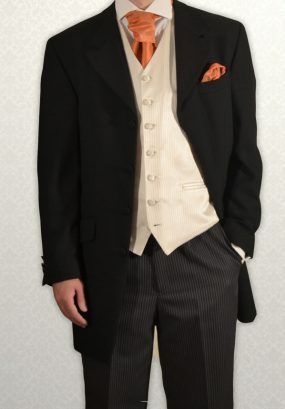 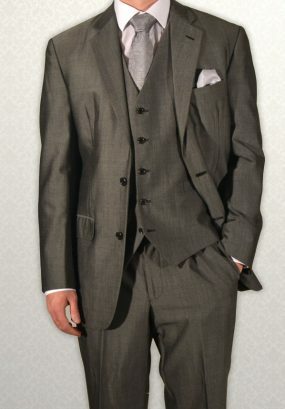 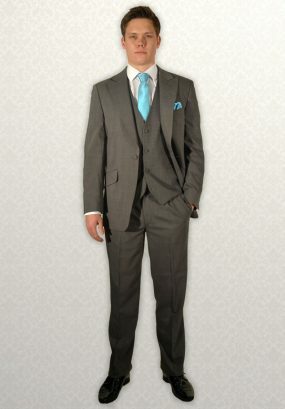 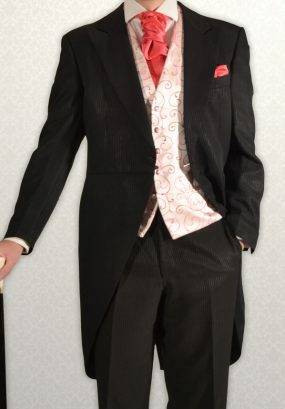 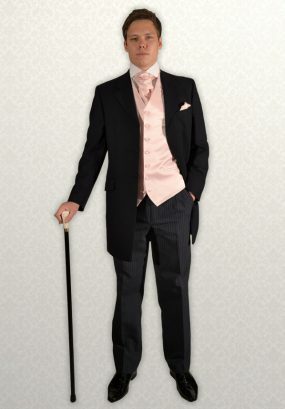 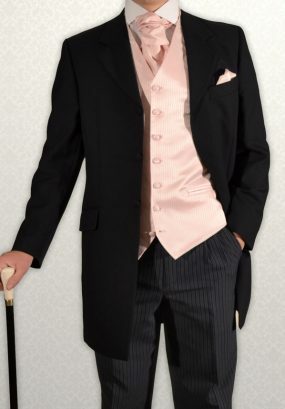 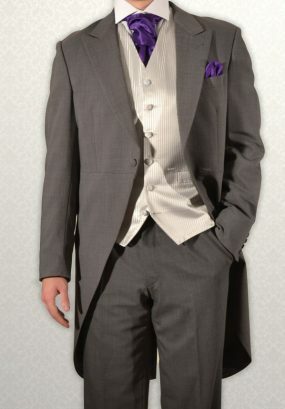 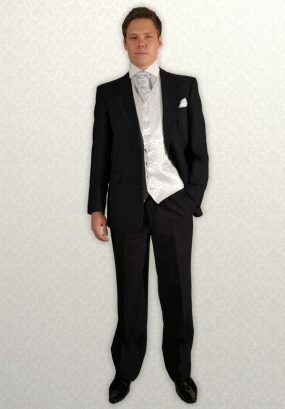 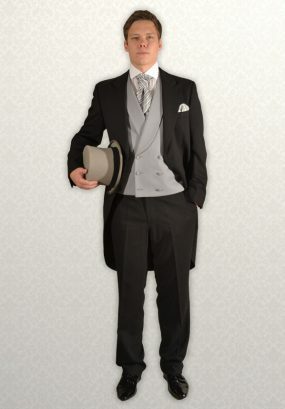 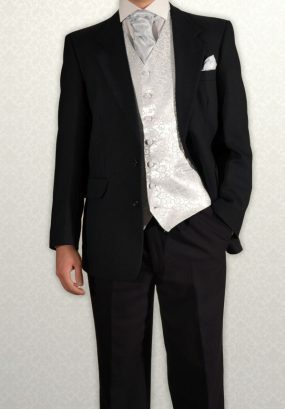 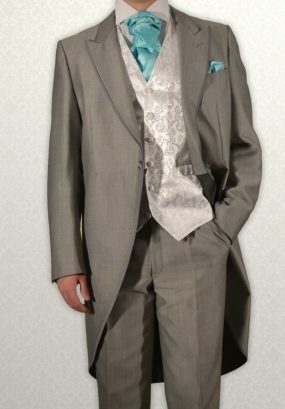 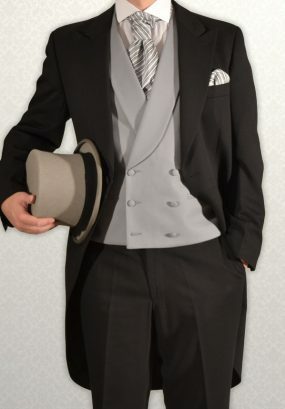 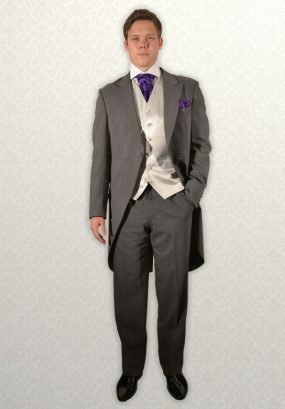 Traditional Black Herringbone Three-Quarter Prince Edward Frock Coat shown with traditional black/grey pinstripe trousers. 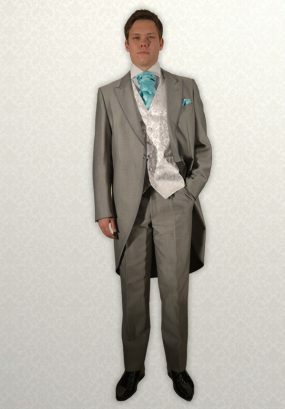 Also available with matching trousers.